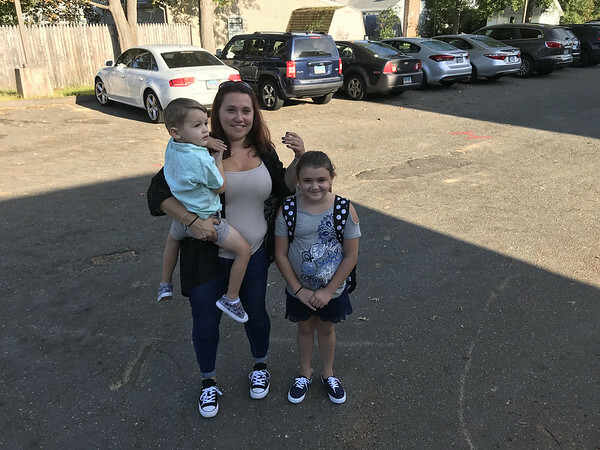 PLAINVILLE – A parade of parents led their children to Wheeler Elementary School Tuesday for the first day of classes. Many parents were happy to praise the school’s efforts to deliver a quality education for their kids. Smiles were on the faces of parents and children alike as they stepped out of their cars and walked up to the entrance of the school on Cleveland Memorial Drive. Kids strapped on their new backpacks and told their parents about how they were eager to see their friends again. Marisa Veloccia brought her fifth-grade daughter, Gianna Soli, to the school. She also had her son, Dominic Soli, with her, who will be entering the pre-K program at Linden Street School. Gianna said that her favorite thing to do at school is gymnastics. 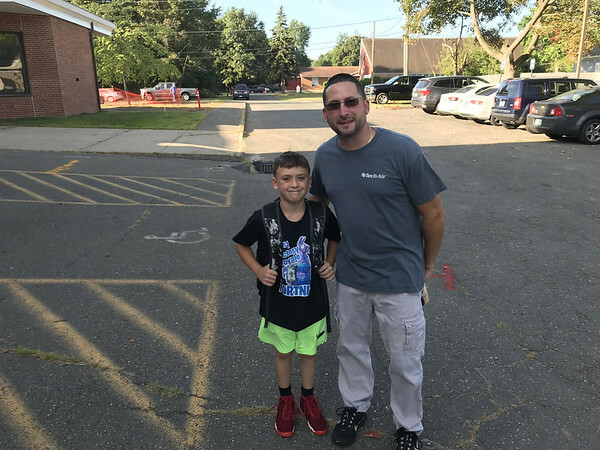 William Matteo, who is entering the fourth grade, walked to school with his mother. He said that his favorite thing to learn in school is spelling. Ron Tiscia brought his fifth-grade son, Braeden, to Wheeler. Braeden said that gym is his favorite thing to do at school and that his favorite sport is soccer. Brenda Cabelus took two sons to school Tuesday; Leland Sparks, a second grader, and Ethan Sparks, a kindergartner. Ethan said his favorite thing to do at the school is “Center,” which is where kids learn a variety of objectives and topics including sensory skills. “They work hard at Wheeler to individualize each student’s education plan,” Cabelus said. Kelly Houston said that she had moved from New York to Connecticut because she had heard so many positive things about the Plainville school system. 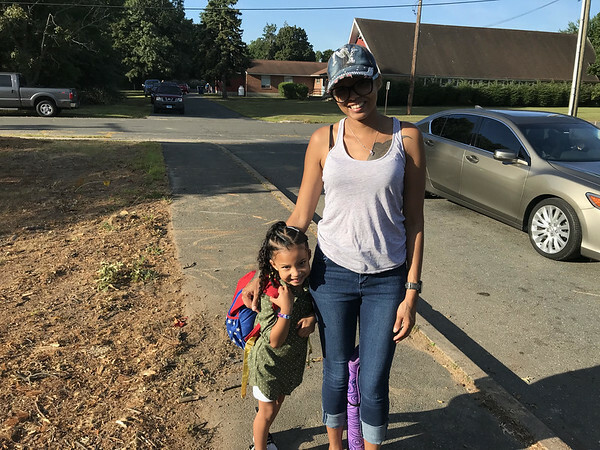 Her 11-year-old daughter, Maliyah, is a sixth-grader at the Middle School of Plainville and she brought her younger daughter, Aija, to kindergarten Tuesday. Posted in New Britain Herald, Plainville on Tuesday, 4 September 2018 20:41. Updated: Tuesday, 4 September 2018 20:43.